Acting in the name of conservation is not only about donating. It’s also about living green and living sustainably. 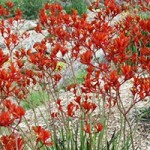 For Flower Valley Conservation Trust, it’s important to promote ethically produced goods. We support those ethical programmes that give consumers the assurance that the products adhere to strict environmental and social standards. Of course, that’s exactly what the Sustainable Harvesting Programme offers consumers too. So if you’re buying flowers, especially fynbos, look for the green option. 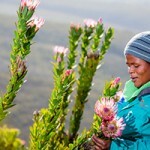 Sustainably harvested fynbos bouquets are sold in Pick n Pay stores in South Africa, and in Marks & Spencer stores in the UK. They’re also sold online on the Marks & Spencer internet shop.